Jesus Christ, the Prince of Peace, brought together two fighters in the Lebanese Civil War; Elie Hasbani; a former Right-wing Christian militiaman and Hesham Shehab; a former Muslim Brotherhood Member. While Elie was fighting with the South Lebanon Army against Palestinian and Muslim militias, Hesham was on the opposite side, fighting with the military wing of the Muslim Brotherhood against Christians. He was avenging the death of his only sibling, who died at the hands of a Christian militia. Elie grew up in a Catholic family that was caught in the Lebanese Civil War. Elie bore arms in order to defend the Christians in Lebanon. He was promoted to a military leader and lost his lower leg in a land mine planted by Palestinian militias. In his pain and suffering, he cried out to God. A vision of Jesus Christ brought him to his knees. 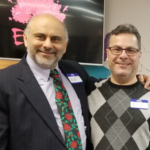 Elie decided to serve the Lord, went to a seminary in Lebanon and later, he earned his Ph.D. and planted an international church in Milwaukee, WI. 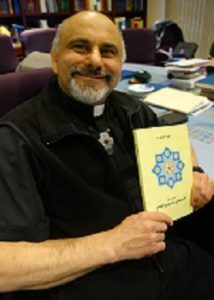 Hesham Shehab grew up in a world of bitter animosity between Muslims and Christians. Hesham was trained as a preacher in the Muslim Brotherhood at an early age, and had memorized half of the Quran by heart. He was recruited by the Muslim Brotherhood and later fought against Christians in Lebanon. In 1980, after his brother was killed, Hesham was studying for college by day, and seeking revenge on Christians by night. After hearing the Sermon on the Mount, in a course of cultural studies, Hesham came to faith in Jesus Christ. He received forgiveness and reconciled with God. Instead of hatred and revenge, he became peace loving. Hesham and Ellie were brought together by a common friend from Lebanon Now these likely enemies have become brothers in Christ and they work together reaching out to the Muslims. Their families now celebrate Christmas together with other Arabs. Hesham and Ellie are an example of what the power of the Holy Spirit can do to bring reconciliation to people who are enemies. This is God’s Gospel alive and well. * for perseverance and spiritual growth. Pastor Hesham improved the Arabic catechism translation by updating the language to reflect the way the modern Arabs write and speak. This Arabic outreach, mostly to refugees, provides for people’s needs as an entry point into their lives – that’s how an ethnic ministry operates. Both money and volunteers enable this ministry to meet those needs and open doors through which these new souls can encounter the Gospel. Hence, benevolence is a very important part of this ministry. It is estimated that at least $ 500 are needed monthly to help support low income or no-income refugees who attend Salam. $5 a week will pay for Hicham to meet with a Muslim over coffee. $150 pays for a meal for Salam Fellowship. $75 a week will pay for a driver to take people to clinics or the public aid office. Just as we appreciate and depend on financial assistance from our supporters, we also depend on volunteers to fill many service positions. Listed here are some of the positions we have an on-going need to fill. Drivers: Many of our people are new immigrants and haven’t learned how to drive. Many need a ride to doctors and county offices. 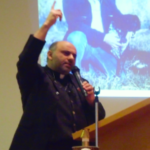 Invite Hesham to speak at your church or community group. Contact him for more information. 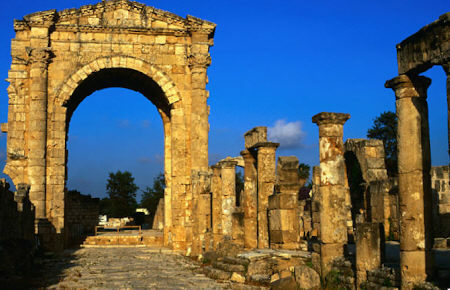 This half-day seminar explains the history of Islam from Muhammad to modern times. Learn he beliefs and pillars of Islam. This 2-hour seminar will explain the difference between Sunni and Shia Islam and what that led to the rise of the Islamic terrorist organization in history. In this seminar, Missionary Hesham will share his testimony while giving attendees a historical background of the modern Middle East. He will share how the Holy Spirit used these historical events to lead him to an understanding of the Gospel. This video drama simulates encounters between Muslims and Christians in the workplace or school. Attendees will come away with ways to share the Gospel through friendship and respect. 2-hour DVD with commentary. This 2-hour seminar explains the basic differences and similarities between the two faiths and how they view Jesus. This 6-week class explains how God uses dreams and visions to bring Muslim’s to Christ.